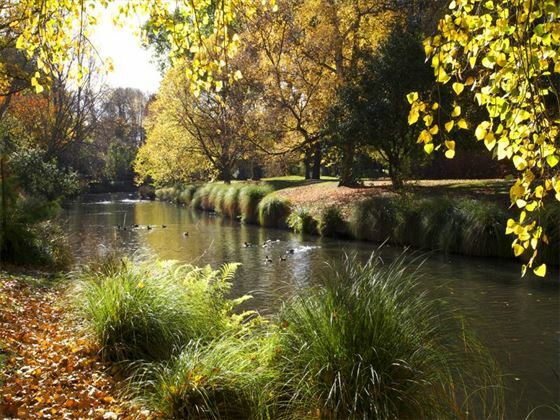 Arrive into Christchurch and transfer to your accommodation – the rest of the day can be spent at leisure. 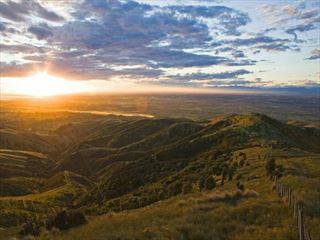 Collect your hire car and cross the beautiful Canterbury Plains as your venture south. You’ll pass many rivers which begin life in the icy waters of the Southern Alps. 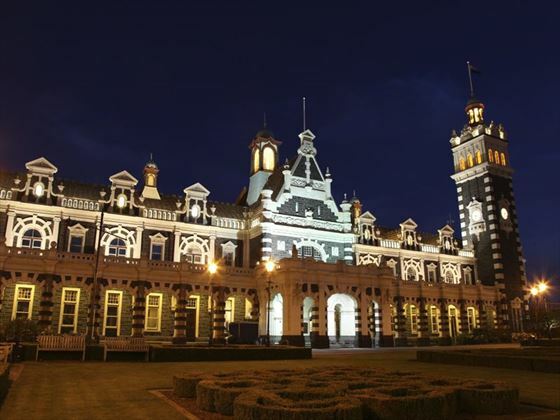 For a short but worthwhile detour, the smaller towns of Timaru and Oamaru are en-route. 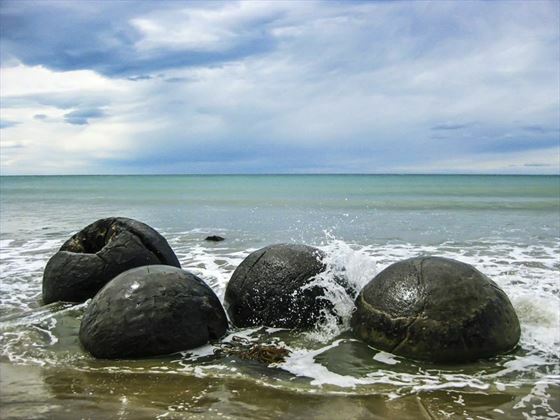 Just a short distance further on, you’ll find the famous Moeraki Boulders which are a geological oddity but well worth seeing. The final stretch of road takes you along the breath-taking coastline and over hills before descending into Dunedin. Filled with fascinating architecture, including the iconic Dunedin Railway Station, Dunedin has plenty of sights to occupy your days with. Head to The Octagon where you’ll find countless shops, cafes and bars, and take a train journey through the scenic landscape along the Taieri Gorge. The Otago Peninsula is just a short distance from the town center and offers some great wildlife viewing opportunities, including the rare yellow-eyed penguin and the only mainland Royal Albatross breeding colony in the world. There are some great hiking trails in this area too, including Sandfly Bay, along Sandymount and Allans Beach. 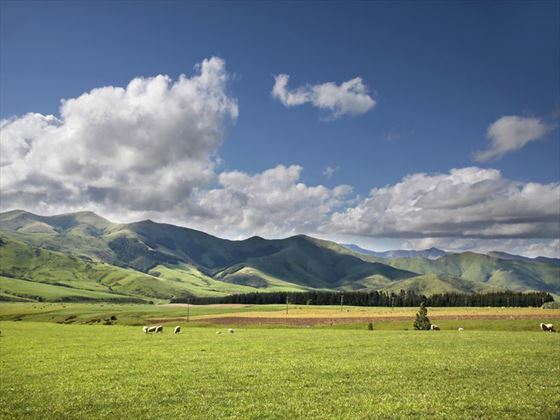 Drive to Te Anau today, a journey which takes you through the classic farmland landscapes of Southland. The Southern Scenic Route is a breath-taking option if you want to explore some of the lesser-visited places, including The Catlins area and Invercargill. Head north to Manapouri, passing through the fishing towns of Riverton and Colac Bay, where you can then embark on a cruise to Doubtful Sound. 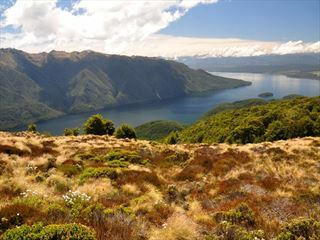 From here, it’s just a short drive to Te Anau which serves as the gateway to Fiordland National Park and Milford Sound. 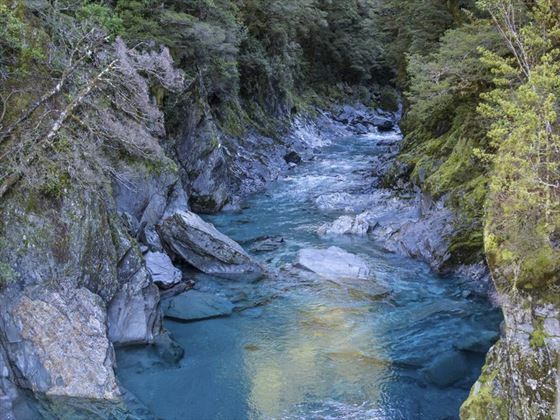 Enjoy a one-day guided adventure today where you can get to know the famous Milford Track, largely considered to be one of the finest walks in the world. This four-day trip takes you through the Fiordland National Park, but today you’ll enjoy a glimpse of what this amazing route has to offer. You’ll join a guide in Te Anau and then embark on a cruise across the lake of the same name to the start of the Milford Track. The route takes you along the Clinton River and across a swing bridge into a beautiful beech forest, where you’ll see emerald lakes, native birds and enjoy the tranquil ambience. The scenery en-route to Milford Sound is spectacular, providing numerous photo opportunities. Be sure to look out for the Mirror Lakes and the two walking bridges over the staggering Cleddau River. You will pass through Homer Tunnel, which is an astonishing 1219m long before being greeted by the view of Mitre Peak as you make your way into the village. In the evening, enjoy a delicious buffet onboard the Milford Mariner before retiring to your private cabin. Departing from the Milford Wharf, you’ll embark on an overnight cruise the length of Milford Sound to the Tasman Sea, passing many points of interest including mountains, waterfalls and rainforests. 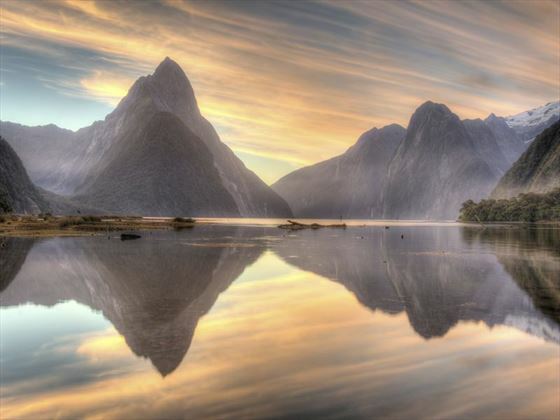 Your overnight cruise will end in the morning, arriving back at Milford where you’ll then drive to Queenstown. 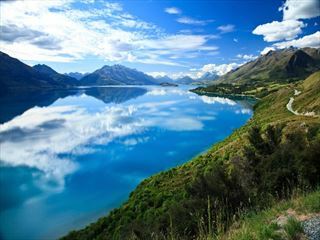 Along the way, you’ll cross the tussock lands through Mossburn which is the deer capital of New Zealand, as well as the Southland countryside towards Lake Wakatipu. Upon arrival into Queenstown, an adventure lover’s paradise, you’ll have the option of several fun activities including a skyline gondola ride or a cruise to Walter Peak, including a BBQ dinner and tour of a farm. Queenstown is packed with exciting and adrenalin-inducing activities that are perfectly suited to people of all ages and abilities. Being in such close proximity to the shores of Lake Wakatipu means there is an abundance of watersports to enjoy, as well as bungy jumping or skydiving for the extreme sport enthusiasts. For visitors seeking a more sedate way to spend the day, there are some beautiful vineyards where you can sample local wines or head to the nearby historic gold mining towns for a dose of heritage. 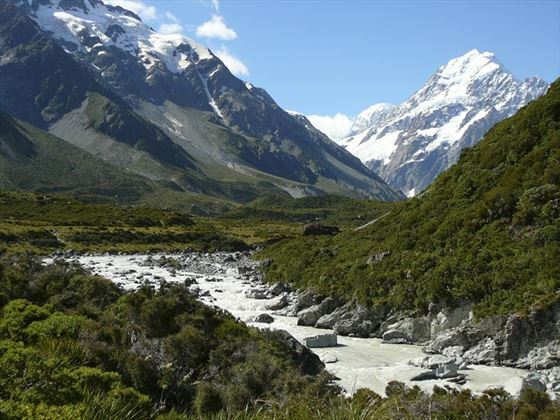 A unique way to spend the day is with a wilderness safari excursion, which offers up some amazing vistas of Mt Aspiring National Park. This is followed by a short but rewarding walk through ancient forests that remain the same as they did 80 million years ago. After listening to a fascinating commentary on the history of the area, you’ll take a 40 minute drive to a region filled with amazing scenery which inspires the settings of many film projects, including Lord of the Rings. 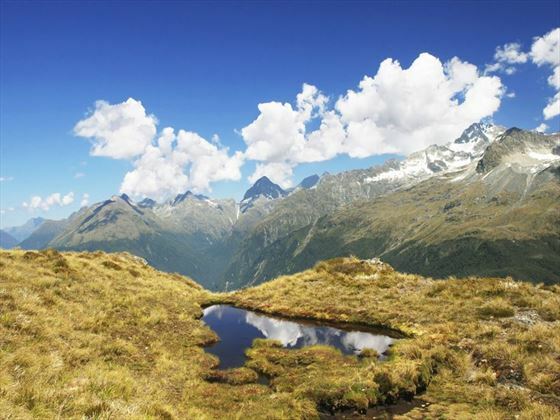 Found at the base of the Southern Alps, between the Hollyford and Dart Valleys, the Routeburn Track is a rugged and scenic area. Populated by forests and mountains, this is an inspiring region and an ideal choice for people short on time or unable to complete a longer hike. Depart from Queenstown in the morning and head over the highest sealed road in New Zealand – Crown Range Road – before descending into Wanaka. There are some great walks in this region, in particular shorter walks that you can complete in a day. Some of these include the Haast Pass Lookout Track, Bridle Track, the Rob Roy Valley and the Mount Iron Track which offers amazing views from the summit. There is the option to take a cruise across Lake Wanaka, coupled with a nature walk through the spectacular surrounding scenery, or a vintage Tiger Moth flight over the lake for amazing vistas. 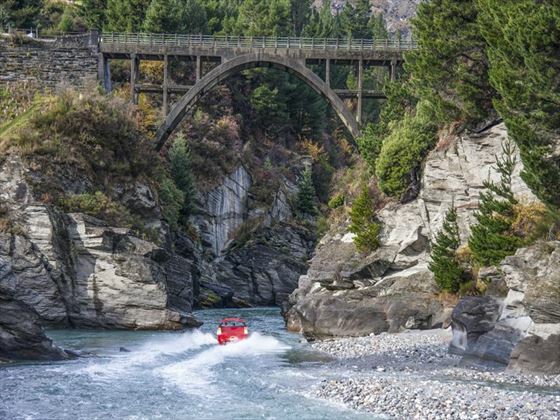 Arrive at the village of Tarras today, passing through the Clutha River along the way, where you’ll then traverse the Lindis Pass which is one of New Zealand’s highest roads. 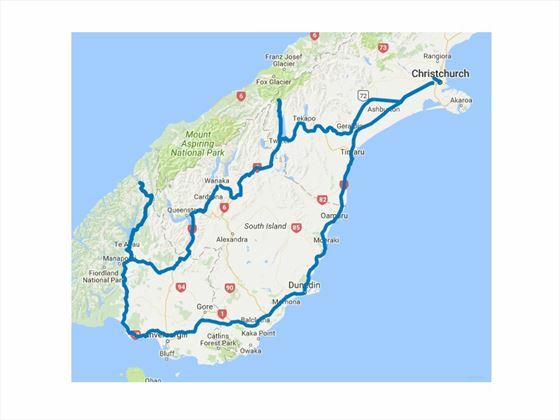 The last stops along this route are the towns of Twizel and Omarama, which lead you to Lake Pukaki and the Mt Cook Highway. There are plenty of activities to make the most of once you’re in Mt Cook Village, including numerous walking trails, kayaking on the lake and even scenic flights with glacier landings. This awe-inspiring flight offers a unique perspective of Mt Cook and a truly tranquil atmosphere. In the morning, spend time exploring the icebergs of Mt Cook National Park on a glacial terminal lake. This is a unique feature, with very few glaciers terminating into lakes and even less accessible by the public. Coming into contact with 500 year old ice is a truly unbeatable experience. There are some picturesque short walks in this area that are worth embarking on if you have the time and want to admire some of the scenery, including the Glencoe, Red Tarns and the Kea Point walks, all of which can be completed in less than two hours. Make your way from Mt Cook to Christchurch today by way of the Canterbury Plains, which provide some of the most breath-taking scenery in this region. Your first stop of the day is at Lake Pukaki, where the bustling township features some of the most photographed subjects in the country such as the Collie Dog statue and the Church of the Good Shepherd. Journey through the beautiful valleys and across the vast Canterbury Plains towards Christchurch, where you can take part in a gondola ride in Heathcote Valley, a bike tour through the city or a visit to the Ko Tane Maori village. Explore more of Christchurch before dropping off your hire car before making your way to the airport.